Lemon Grass Incense Sticks are one of the Stress Relief Aroma Sticks have been proven to be very Relaxing for human kinds. Our Lemon Grass Aroma Sticks carry the legacy of the soothing fragrance that stimulates mind, body, and soul. We have used essential oil of Lemon Grass, selected flowers, and biotic combustible materials that combined to form an exclusive range of Incense Sticks. 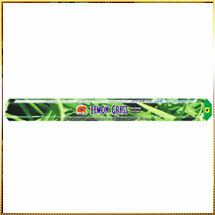 You can enjoy every breath of aroma of Lemon Grass Incense Sticks with your naturally captivated senses. Its strong tangy taste will leave you completely enchanted evoke a meditative charm. A smell of it is vigorously revitalizing.